What is included in St. Petersburg Woman’s Club Fees? 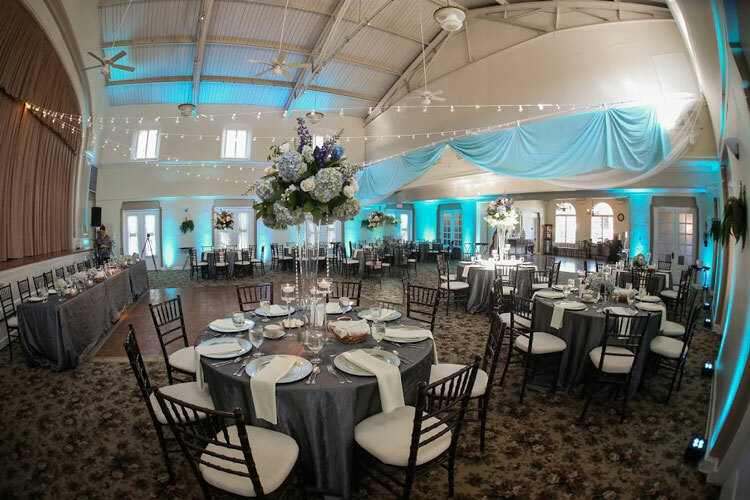 Tables: 22 - 60 inch rounds, 8 – 8 foot rectangles, 6 – 6 foot rectangle, 2-Sweetheart tables (half moon shape), 1 -cake table (3 foot square), 3 – high top pub tables (30” rd), various antique tables and buffets that can be used for gifts, guest book etc. 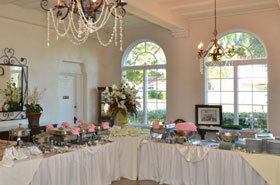 You bring the linens, chair covers, dishes, silverware, centerpieces etc. We offer a separate, optional package, to rent garden chairs for outside events (with bar instead of 4 legs so they don’t sink into lawn)or may also be rented from outside vendors. 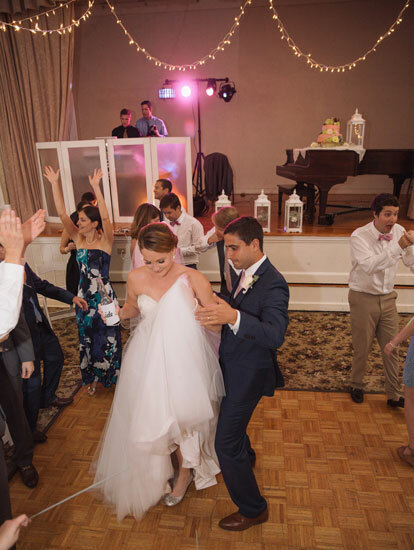 Bluetooth Sound System: can hook up Ipod & MP3, podium & 2 microphones (bring your own portable amp for outdoor ceremony) Provide your own music: DJ, Ipod, band etc. Bar: 2 bar tops for 6 ft. tables that can be used inside or out. Brides Area with dressing room and full length mirror. Upstairs Grooms Area. Kitchen:double door commercial refrigerator, regular refrig/freezer, commercial convection oven, microwave, very large counter/prep space Separate side entrance for Caterer (Kitchen inspected regularly by County Health Dept) No ice machine, bring your own ice. No cooking or baking available on site. Just reheating in convection oven. 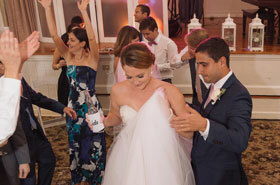 Catering: we have no preferred list – you may hire anyone you wish or bring in your own food & drinks. 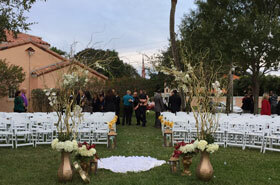 Our Onsite Event Manager will be there during your event to offer any service needed. Beautiful waterfront setting overlooking Coffee Pot Bayou! No additional charge for ceremony on site. There is no charge for outside rehearsals that do not require Club access. Outside rehearsals need to be scheduled with Club Representative to avoid conflicts with other events. Requests for inside access or early drop off on the day before event will be based on availability of the Venue, if no other event is booked, and cannot be approved more than 30 days before the event date. Prior day inside access will be an additional $100, when available. The fee includes the set up and breakdown of all tables, chairs, etc. furnished by the St. Petersburg Woman’s Club (see 'What’s Included’ list for complete details). Also, the club’s Onsite Event Manager will be accessible during your event to answer any questions. SPWC, 40 Snell Isle Blvd NE, St. Pete, 33704. Or, drop off in north (kitchen side) locked mailbox. 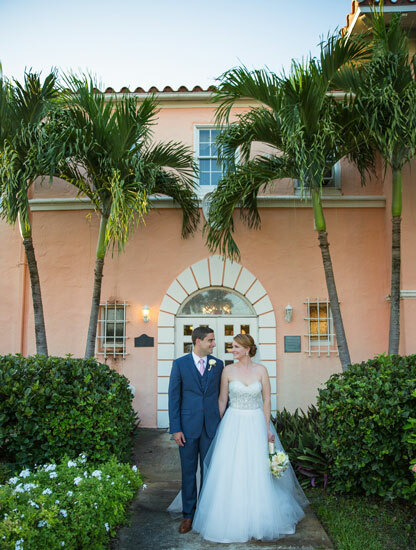 For the budget consciousto the extravagant, our magnificent historical1929 waterside venue will adjust to your dreams! Need Shade Trees? We have them! Need sparkling tranquil water? We have it! 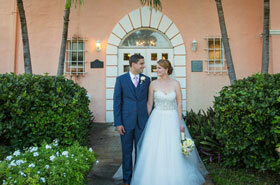 Need a picturesque setting for photos? We have it! 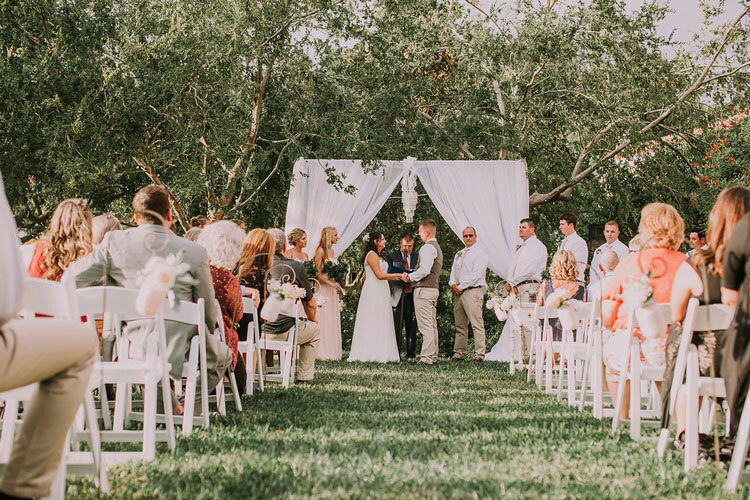 Whether it’s a park-like setting, a romantic white antique bridge curving over tranquil water, boats in the background or a spacious lawn for a variety of booths, we have it! Plenty of parking around the clubhouse and up and down both sides of Snell Isle Boulevard. Grand ballroom, tea room, dance floor, two stages, foyer, enormous kitchen, tables/chairs, bars…we have it all! Our special value price includes 9…yes that’s 9 full hours for your event! Split your time…set-up in morning and celebrate in the evening! 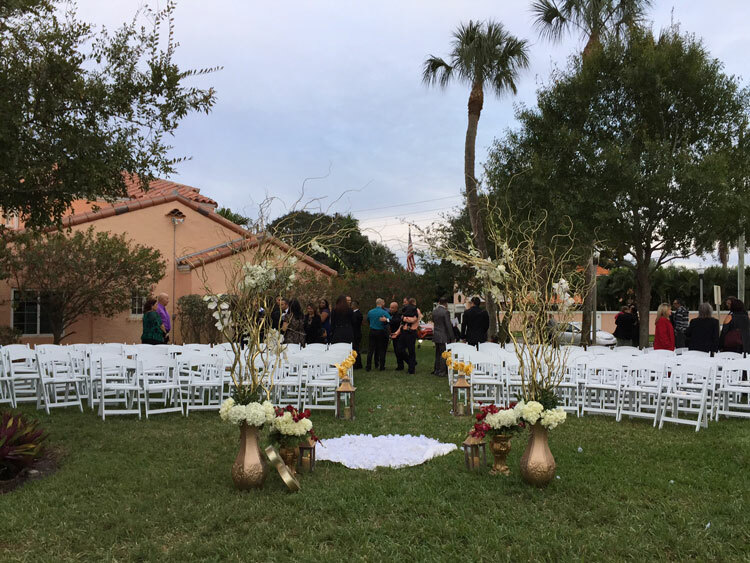 Flexibility is our priority along with making your event stress free! 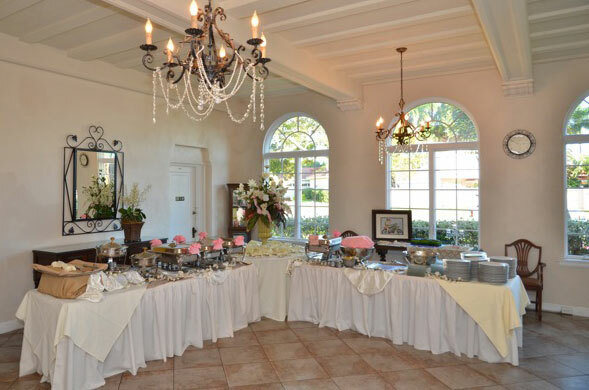 Your choice of Caterer… or just bring in your own food! 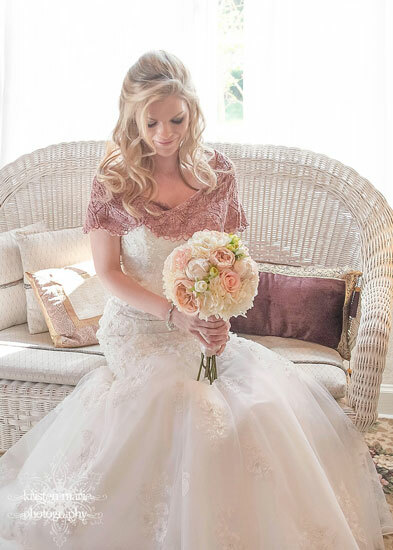 We’re here to help make this the most memorable day you can imagine… why wait? Call or email now and get the details! 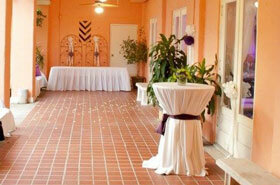 You’ll find our fees are relief for your budget and will also help us maintain our venue. 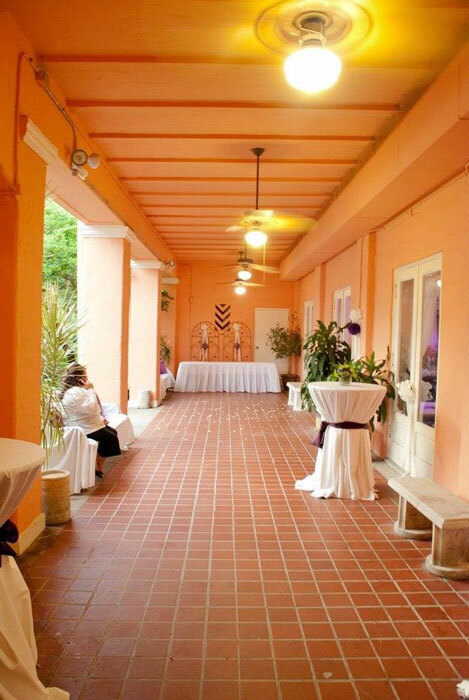 The woman’s club has been entirely owned and operated by women volunteers since it was built in 1929. Now that alone is worth your taking a look! You bring the linens, dishes, silverware, chair covers, centerpieces etc. 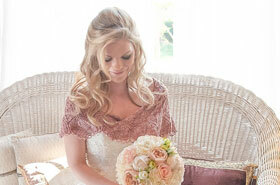 Our onsite event manager will be available during your event to offer any service needed.